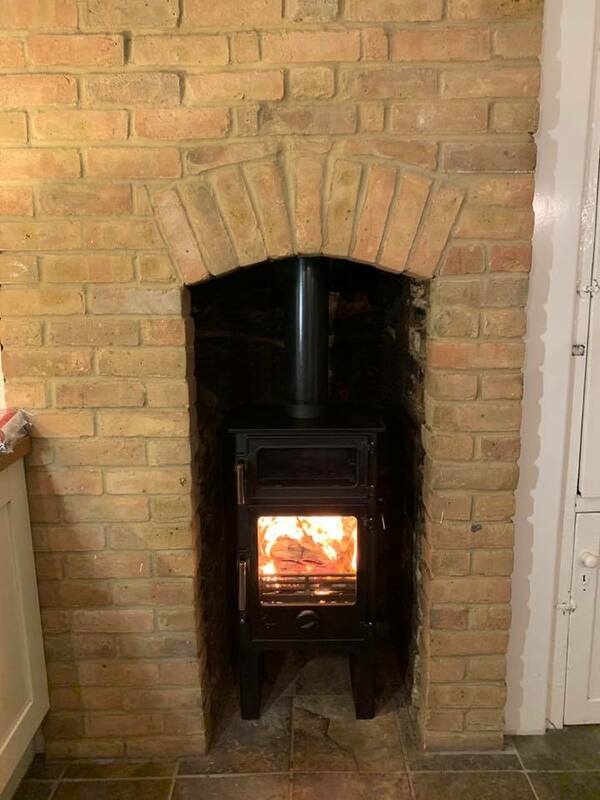 Acr Neo 1F installed in Maidstone Kent. The Acr Neo comes in a variety of options, pedestal, log store, cupboard base and a choice of side windows. Defra approved for the smoke controlled areas of Kent. Multi-fuel grate for burning smokeless fuel. This installation was to help the customer heat his newly built extension. 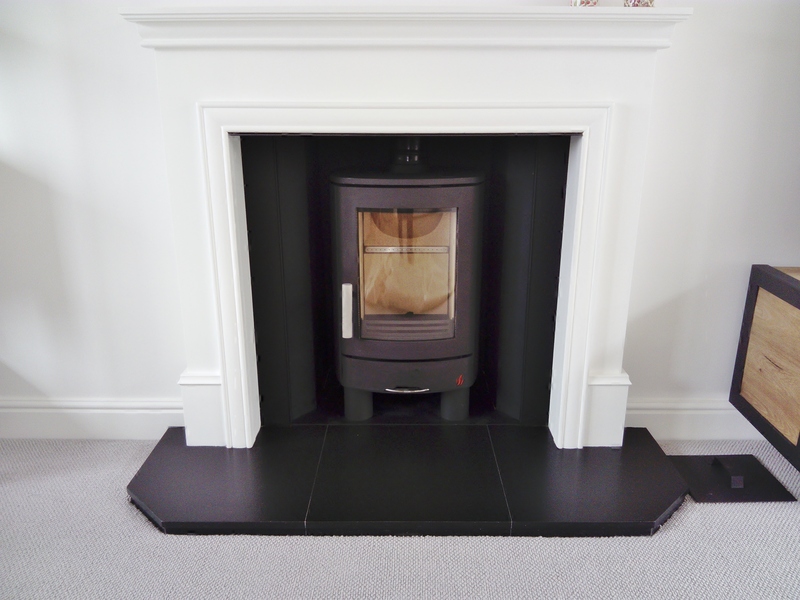 He chose the Stovax studio 1 due to its contemporary look and the 5kW heat output. As an extra addition, he also went with the Stovax heat treated bench which comes in various sizes. We used our twin wall chimney system to get the required height for the studio 1. 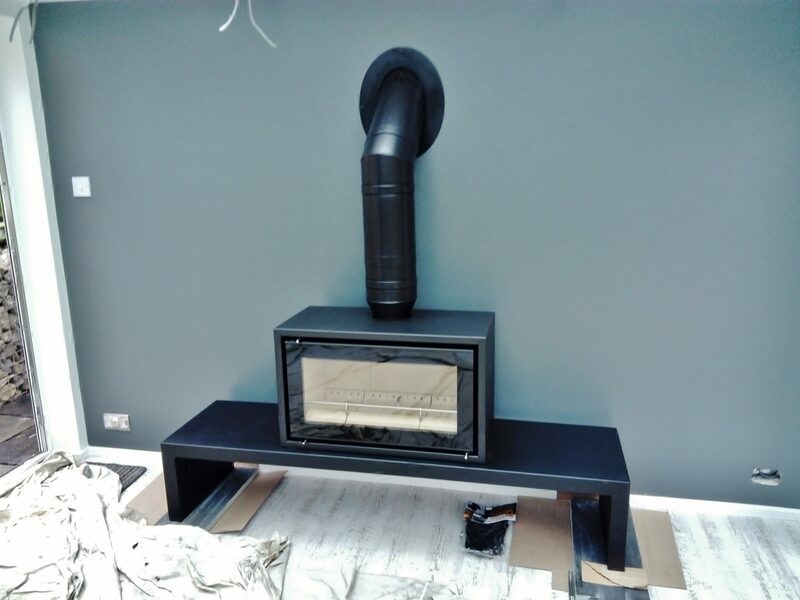 Hunter Herald Double-sided wood burner installed into a house in Snodland Kent. 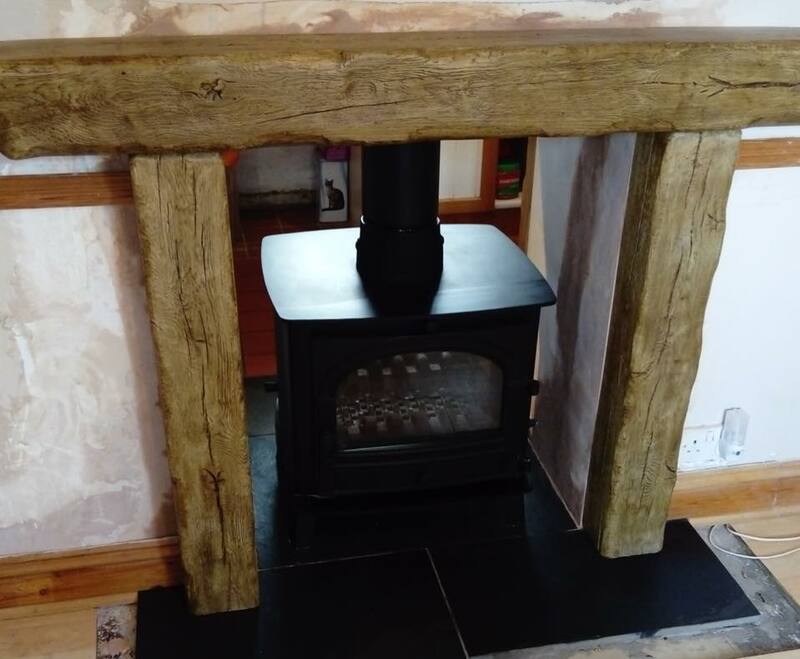 We created the cottage look with a traditional double-sided wood burner complete with Focus cast surrounds giving the real wood look.